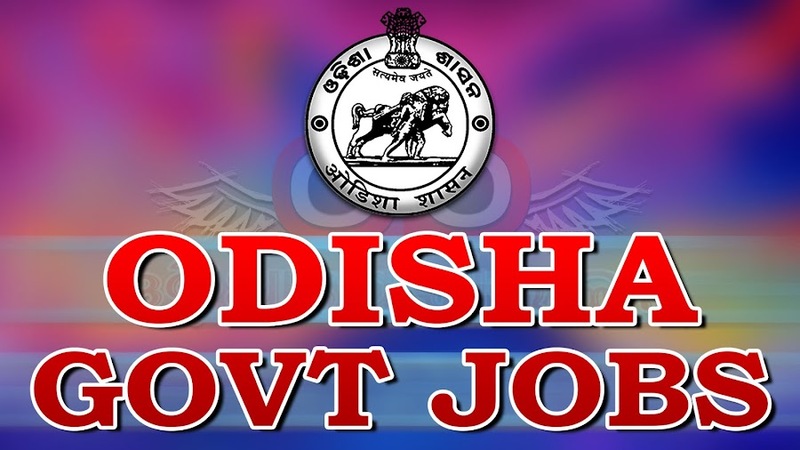 Odisha Staff Selection Commission inviting eligible candidates for filling up 36 Posts of Librarian & Asst. Librarian Under TE & SCERT, Gopabandhu Academy of Administration, Govt. IN Home Department, Director - ROTI. (i) Online application form will be available from 19.01.2017 till 18.02.2017 up to 11.59 P.M.
(ii) Last date of receipt of OAF (Detailed Application Form) along with OSSC copy and other required documents as mentioned at Clause-8 of the detailed advertisement, through Speed Post / Regd. Post is 27.02.2017. (iii) Applications received after last date of receipt of OAF i.e. 27.02.2017 & applications not enclosed with the required documents will be out-rightly rejected and no correspondence on the matter will be entertained. (iv) The candidates applying for the post must go through the detailed advertisement and ensure that they fulfill all the eligibility criteria prescribed for the post as laid down in the advertisement. Admission of a candidate for the written examination & other Tests shall be provisional and would be on the basis of the information furnished by him/her in the on-line application form only. (v) If at any stage of recruitment or thereafter, it is found that any information furnished by the candidate in his/her online application is false/incorrect or the candidate has suppressed any relevant information or the candidate otherwise does not satisfy the eligibility criteria for the post, his/her candidature for the Post/examination will be cancelled forthwith and he may be debarred from appearing any further recruitment examination (s) conducted by OSSC either temporarily or permanently. Director TE & SCERT - 33 (ST·7, SC-5, SEBC - 4 & UR·17). Director - ROTI - 01 (UR·01). The appointment will be initially on contractual basis carrying a consolidated pay of 9300/- +Grade Pay 4200/- in the scale of pay Rs.9300/- to 34800/- and the appointment will be guided by the Odisha Group·B posts (Contractual Appointment) Rules-2013 Notified vide G.A. Department Notification No. 1147/Gen. dtd.17.01.2014. Appointment shall be guided by the Odisha Group·C posts (Contractual Appointment) Rules, 2013 notified videthe Notification No. GAD·SC·Rules·0009·2013·3201 O/Gen dated 12.11 .201 3. (i) Age : Must not be below 18 years and above 32 years of age as on 1.1.2016 (Details as per clause·3 & 5 of this advertisement). (ii) Upper age relaxation limits : 5 years in case of ST, SC, SEBC and Women candidates, 10 years relaxation in case of PWD category candidates, by the period of qualifying years of service in Defense Forces in case of Ex·SM and be low 45 years as on 01.01.2016 in case of In-Service Contractual Employees. For other types of age relaxation refer to clause·5(a) of the detailed advertisement. (iii) Educational Qualification etc. : Bachelor of Library Science (B.Lib.) I Bachelor of Degree in Library & Information Science. For detailed qualification please refer to clause·3 of the detailed advertisement). Written Examination (One Paper) - 100 Marks-1 & 1/2 hour. Rs. 100/- (can be remitted online through Odisha Treasury Portal (e-chalan) or Treasury Chalan in any Treasury/Sub· Treasury under the Head of Account "0051-PSC-104-UPSC/SSC.Examination Fees-0047-Fees collected for conducting examinations-02041 - Examination Fees" The ST, SC & PWD candidates are exempted from paying any examination fee.